I’ve been carrying around the guilt of aluminum-laced deodorant for years now. I know it’s bad for me, I know it’s linked to cancer, but I have no choice. Without it, I smell like an onion bagel that’s been sitting in a car on a hot day. I’m just not willing to smell like a European metro, even if that means I’m risking my health. Call me superficial, but according to the sales increase in top deodorant brands in 2018 the majority of people out there agree. I had accepted the hazards long ago and assumed the guilt of chemical-leaching, drugstore deodorants. Maybe you’re like me and live with the necessary evil that is antiperspirants. Or maybe this is all news to you and up until this moment you had no idea deodorant was anything but magical flower dust. Or maybe you are fully aware, ditched the deodorant, and either accept smelling like a rugby team’s locker room or you’re one of the few lucky ones who naturally smells like patchouli on your worst day. Whoever you are, we’ve got something for you. 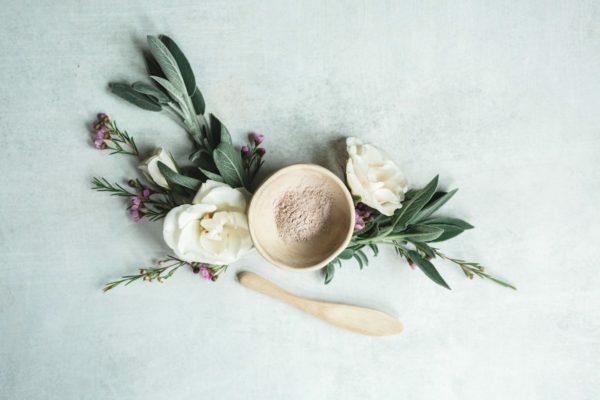 We’ll fill you in on which ingredients to avoid, give you some natural alternatives that are tried and true from your stinky girl herself, and show you how to reverse the damage already done or even just renew and refresh with a DIY armpit detox mask. Here it is, the extensive guide to finally ditching toxic deodorant, even for those of us who don’t always smell like a prepubescent flower. Deodorant is linked to some serious diseases. Studies have shown that there is a correlation between the chemicals found in deodorant and Alzheimer's Disease, as well as breast cancer. Here are a few ingredients to avoid, and further reasons to make the switch. Most commonly linked to Alzheimer’s Disease and breast cancer in many studies. A carcinogen used to preserve dead people… I repeat PRESERVE DEAD PEOPLE. But they throw it into deodorant because it also kills germs. These mess with your endocrine system and are linked to hormone imbalance and infertility. Oh yeah… and they’re found in plastic. You don’t want that sinking into your skin. Another hormone disruptor linked to breast cancer. Also known as antifreeze, the stuff they put in cars so the engine doesn’t freeze. Medical professionals believe it may cause immunotoxicity and allergies. These kill all bacteria, some of which we need (we’ll dive into this in a second). When you’re putting something on your body EVERY day, you want to be 100% sure it’s not causing problems you can’t see. Whenever I buy something in the health and beauty industries, I always ask myself, what’s their angle? Maybe I’m overly skeptical, but for the most part this question has led me to some interesting discoveries. Remember, all of these companies rely on your consistent business to keep their paychecks coming. And what better way to ensure you’re a loyal customer than to get you hooked on the product and actually create a physical dependency? By adding chemicals like formaldehyde and other antibacterial substances deodorant companies are intentionally clogging your pores which prevents sweat. Seems like something you want out of a deodorant, right? Except that when you prevent sweat, your body loses the good bacteria that feeds on sweat and also keeps your stink a little less stinky. So if you were to ever stop using the deodorant you would smell even worse than your natural odor, sending you screaming back to the drug store to re-up. Chu-ching *insert cartoon of drooling millionaire, deodorant CEO with dollar signs for eyes*. There are many all natural brands out there you can choose from, but isn’t it so much more fun to make your own at home? The key to an effective natural deodorant is getting the right consistency so you don’t end up with super oily armpits. Here is my favorite recipe. And add in your favorite essential oils. I keep my homemade deodorant in a shallow mason jar. You can use a stir stick, or even your fingers to scoop it out and lather up your pits in the morning. You’ll notice a couple major differences when you make the switch to natural deodorant. You sweat more, but without the stench and stains. Unfortunately, natural deodorant is not an antiperspirant. This means you won’t be clogging up your pores to prevent sweating, but that’s actually a good thing for your body. When our pores are blocked from sweating, we aren’t releasing toxins like our body is suppose to. It also means the good bacteria that lives in our armpits to prevent odor has nothing to sustain itself on and dies off, leaving us smellier than we started. After using natural deodorant for a while I found that my natural smelliness was a lot more pleasant than I thought. Before a day where I forgot deodorant would have ended me, but now it’s no sweat… pun intended. I always thought the embarrassing, yellow stains that ruined all my white shirts was just proof that I’m naturally a big, gross ogre. To my pleasant surprise I found after switching to natural deodorant that I could sweat all day and my white shirts we’re still white (and whatever colored food I spilled on myself that day). It turns out the yellowness was coming from a chemical reaction between my sweat and the aluminum in the deodorant I was using. Note: If you are truly adverse to sweating, you can add baking soda to your DIY deodorant, but many people are allergic so make sure to test on a small area of skin first. You have less skin irritation. All of the harsh ingredients we mentioned earlier will dry out your armpits, as well as clog pores giving you zits and ingrown hairs. Something I wasn’t expecting when I made the switch was that my armpits were not only less aggravated, but they actually felt nourished. Because so many natural deodorants are made from essential oils and contain coconut, olive, or some other type of moisturizing oil, my armpits felt healthier and happier than ever. I even noticed I was getting a closer shave since the area was not inflamed and irritated. Detoxing your armpits is a good practice for everyone, natural and drugstore deodorant users alike. Your lymph nodes live in your armpits and are crucial to your immune system. You may notice lumps in your neck or armpits when you get sick. Those are your lymphatic system working overtime to get you better. Us non-natural deodorant users have been putting immune suppressing and hormone disrupting chemicals directly on our lymph nodes for years now. With an armpit detox, you can pull some of those harmful chemicals out of your pores (where they’ve been building up). The detox also helps your body adjust to using natural deodorant by freeing your pores to sweat and accumulate the good bacteria needed to fight odor. The detox mask is simple to make and use. Combine 1 tablespoon of bentonite clay, 1 teaspoon of apple cider vinegar, and 1-2 teaspoons of water in a non-metal bowl. Stir until well mixed, with a smooth consistency. Spread an even layer on your armpits and let sit for 15-20 min. This will increase blood flow so you may feel a pulsing and see redness. Then, wash off with a warm, wet washcloth. You can repeat this daily until you notice reduced smell and irritation as you switch to a natural deodorant. Have you tried an armpit detox? Share your experience in the comments. About a year ago, I weaned myself off antiperspirants and I was using the strongest version off the counter in Mitchum and Secret brands. I found this company called Primal Pits.com which makes jars of aluminum free deodorant which is similar to the formula posted in the article with the additional baking soda included. They actually have developed different strengths plus a primer to help with the detox plus kids versions. I am not advertising for them just mentioning options. It took me a good six months to completely detox my pits from antiperspirants. 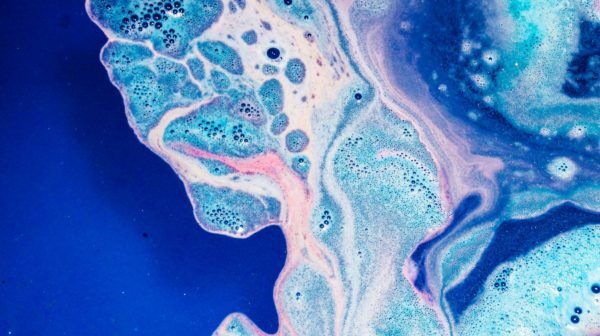 I had to wash often to cleanse using a non-toxic soap, a few times I even used the same cleanser that I wash my face with (knowing its ingredients, like the ones sold for this site). When the summer humidity hit my area, I found out how much I had suppressed my sweat function but as my body adapted back to normal, my sweat wasn’t overwhelming me, plus the sweat didn’t smell. You do have to wash your pits daily like you wash your face and apply deodorant in the morning and before bed, just like you apply moisturizer. But if you are using good products to feed your body and take care of your skin this is just another part of taking care of yourself. I highly recommend doing this. An added comment for Jessica and others. If you smell so bad when you perspire (causing you to cling to aluminum based antiperpirants) re-evaluate your food and liquid intake. Do a liver cleanse, then do another! Research and start eating for a healthy and balanced microbiome. Body odor indicates yours is out of balance and contains too many bad bacteria that put out nasty toxins. Eat for your microbiome! It helps your brain too! When your perspiration smells it indicates that the microbiome in the area of the underarm is off, it’s full of the bad bacteria, the antiperspirant has killed off the good. Your outer microbiome (skin) and inner, mouth, digestive tract are all related. As you improve one, you improve all. You do not have to be a slave to dangerous antiperspirants because of odor, that you can correct. Most people can’t leave the antiperspirants because they don’t like the feeling of wetness under their arms. You will get used to it. It’s not bad. Unless you are medically a very heavy perspirer, you can go without blocking perspiration. If you are diagnosed with medically heavy perspiration issue, you need to find out WHY? What is the root cause of my body needing to put out all this sweat? If you remember that seating is a detoxification pathway you can be guided to some good answers and things to try. I’m glad you are discussing this. No one, especially women should be using a commecial deordorant or commerical antiperspirant. But what you want is SOMETHING that actually HELPS your immune system since the armpit contains a mother-lode of lymph nodes. And these lymph nodes serve many important areas including the breasts. As far as stinky? Much of the stinky comes from INSIDE not outside. You can detox the underarm, but you aren’t really doing anything much. Try detoxing YOUR INSIDES., then your sweat (and your poop!) won’t stink! Best thing for detoxification, chlorophyll! Get and take some good chlorella daily. You’ll be amazed at how odor free you will become! And it’s GOOD for you! It detoxes the liver and chelates out aluminum and mercury. It also boosts immune function. How can you go wrong with this internatl deordorant? Then for under your arms use something that will actually stimulate and make the lymph nodes better. Like Tea Tree Oil. Only pure organic or fully certified with documentation, pharmaceutical grade (which is basically grown organically, just not undergone the costly organic certification process). Mix it in a little not a lot, you do not want to be greasy(!) Jojoba oil which is a match for the body’s own sebum and rub into the area. It will soak in and you will smell FRESH! 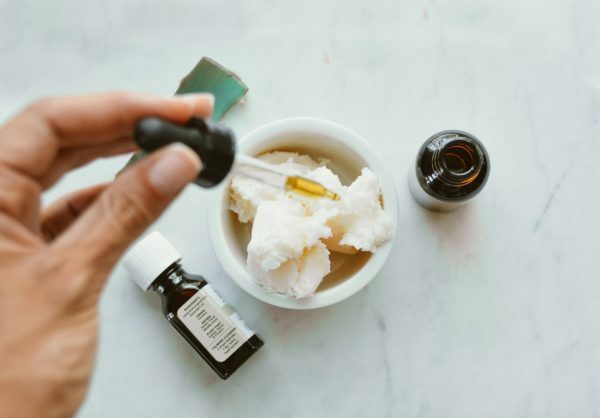 You will also have the comfort that the Tea Tree oil is doing NOURISHING and STIMULATING things for those important lymph nodes and your immune system. And the other good thing? Tea Tree Oil kills all the smelly bacteria but leaves the good ones. And it is long lasting. If you apply a healthy dose, you will remain odor free even if you sweat! Don’t try to block the sweat glands. It’s just not a good idea. As you allow them to naturally sweat, you will notice you perspire less under the arms. Blocking the natural sweat keeps those toxins that the sweat would carry out inside, right there with all the lymph nodes! It would not surprise me if in a few years blocking underarm sweating is linked to breast cancer. My philosophy is when looking for natural and healthy alternatives to convenience things like antiperspirants and deordorants, I look for what will not only do the job but will ALSO be very beneficial to my body! Enjoy happy, healthy fresh smelling you! Thank you!! It’s so important that people know the harm caused by conventional deodorants. My husband and I have been using salt sticks for years. They are amazing!! Never (never!!) an odor, since the salt prevents bacteria from attacking the perspiration. And they last forever (until we drop them and they shatter… but they are also quite reasonable!). Where can I purchase bentonite clay? I want to make sure I am getting a pure/reputable brand. Thanks! There is much to be said for milk of magnesia for underarm odor. People’s Pharmacy sells a roll-on of it, scented or unscented. I have tried it, and it definitely kills any odor, yet doesn’t clog sweat glands. You can do it yourself with a bottle of milk of magnesia and a cotton ball! Works, may be a good way to transition into your own concoction! I’ve used the People’s Pharmacy roll-on and it works great. I prefer the unscented as the scented was a strong flowerie smell I didn’t like.